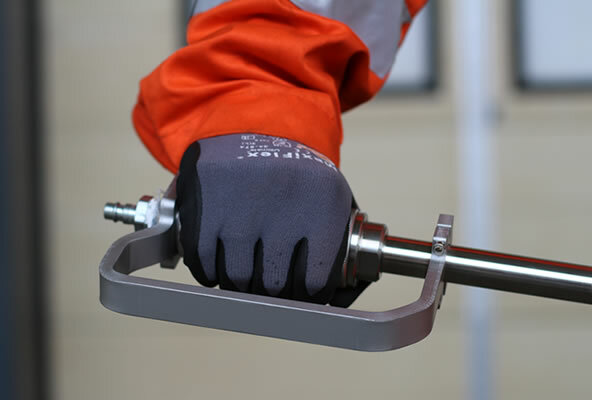 The Power Wrench Hand Guards Set provides extra protection to the operator during valve operations. The guards are mounted and fixed with a quick fixate, allowing for rotation around the main axis of the Power Wrench. This assures that potentially impacting material in the direct surrounding of the tool, while being operated, will always hit the guards. The hand guards are made of aluminum and do not substantially add to the weight to the tool.